Do you have a story where you learned something profound about life from an experience with a another species? We'd like to hear it! Please submit your story here for consideration in future Jennifer Skiff publications. As a child, were you referred to as empathic or sensitive? What were your earliest memorable experiences with animals? How did your parents influence the way you viewed or treated animals? Please name and describe the first animal you had a relationship with. What did you learn about life from him/her? Please tell me about the moment you experienced an epiphany with an animal that wasn't your pet. When (what year) did it happen, and how old were you? What was your occupation at the time? If you were a student, what were you studying? What was the species of animal? Did the animal have a name? What five words describe the animal's character traits? Describe the situation that led you to meet this animal. What were you doing at the time? Tell me your story: describe the moment you had an epiphany - a sudden intuitive insight - with another species. Describe this profound experience and how or why it spurred you to create change. Tell us what that change was and how you accomplished it (or what you're currently doing to make it happen. (Note: This small box expands to fit any response length, so write as much as you 'd like. I recommend writing the story in Word and pasting it here. Most people's stories are about three pages. How did this animal inspire you? Very specifically, what did you learn from this experience? How did your perception of animals change (if at all) after this experience? Please attach any pictures of this animal, along with any photos of the two of you, if you have any. If you had one message to deliver to others, what would it be? What one book, documentary or speech has had a profound effect on you? Name a person or people who have inspired or influenced you in your work. Please name three things that make you happy. 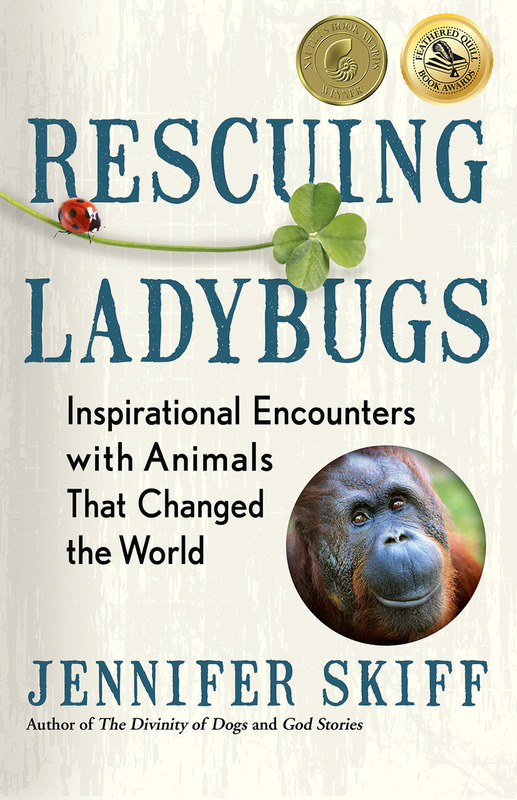 Have you ever "rescued" a ladybug/ladybird? What is your fondest memory of learning about the insect? Regarding your food choices, how do you describe yourself? If you had one wish that was guaranteed to come true, what would it be? What advice do you have to people who say that they want to help animals in need but are too debilitated by what they witness? Please attach your bio/cv here. I’m extremely grateful to you for submitting your story!